https://nicebeauty.com/eu/clinique-anti-blemish-clearing-concealer-10-ml-shade-1.html 72119 Clinique Anti-Blemish Clearing Concealer 10 ml - Shade 1 24.10 4 EUR InStock /Brands/Clinique 0 Clinique Anti-Blemish Clearing Concealer - Shade 1 is an antibacterial and light brown concealer that both treats and covers impurities. It is a gentle and soothing concealer that provides a natural coverage while having a skin treatment effect. It has an oil-free formula, and can be used alone, under makeup or to enhance the make-up. Control your impurities and get a more consistent surface with the Clinique Anti-Blemish Clearing Concealer. 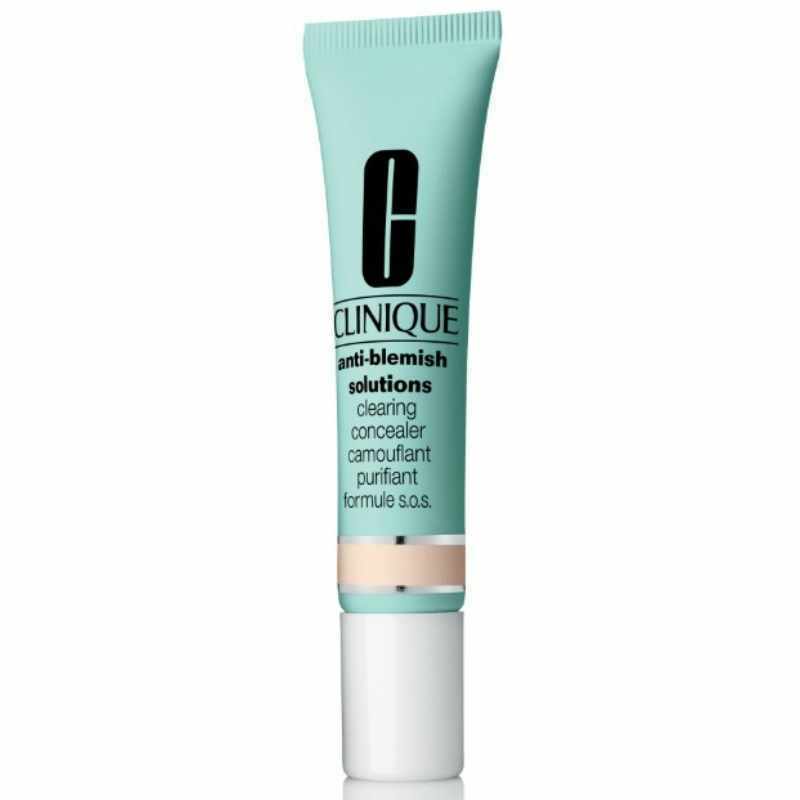 Clinique Anti-Blemish Clearing Concealer - Shade 1 is an antibacterial and light brown concealer that both treats and covers impurities. It is a gentle and soothing concealer that provides a natural coverage while having a skin treatment effect. It has an oil-free formula, and can be used alone, under makeup or to enhance the make-up. Control your impurities and get a more consistent surface with the Clinique Anti-Blemish Clearing Concealer.